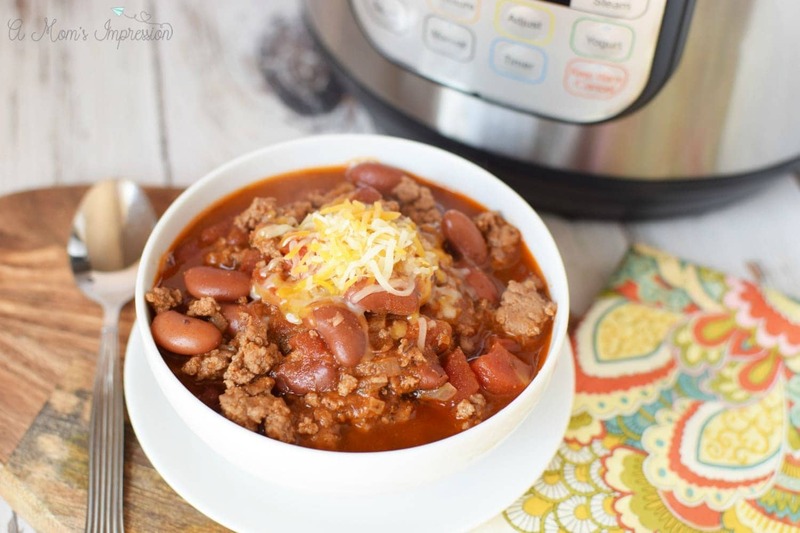 Instant Pot Chili is perfect for those of us who want delicious tasting chili quickly. This version is a classic blue ribbon recipe you will love. 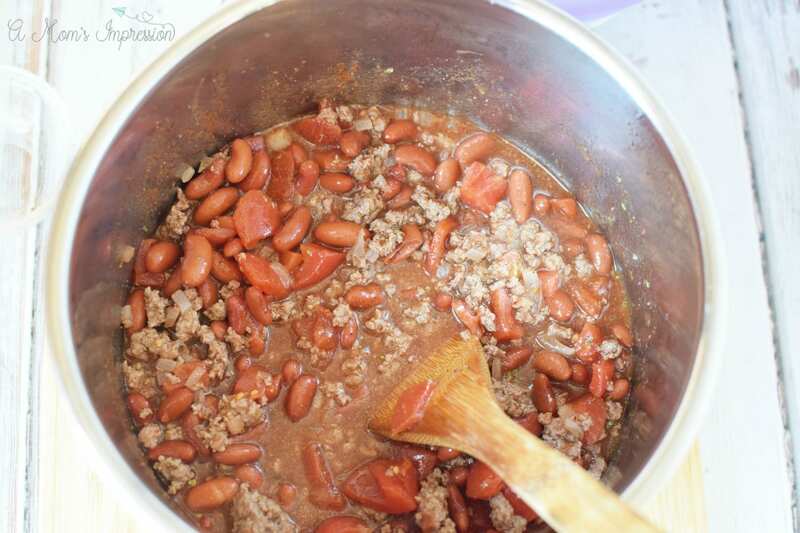 I love when the weather starts turning to fall and football season is upon us, it seems like the perfect time for a great tasting bowl of chili. 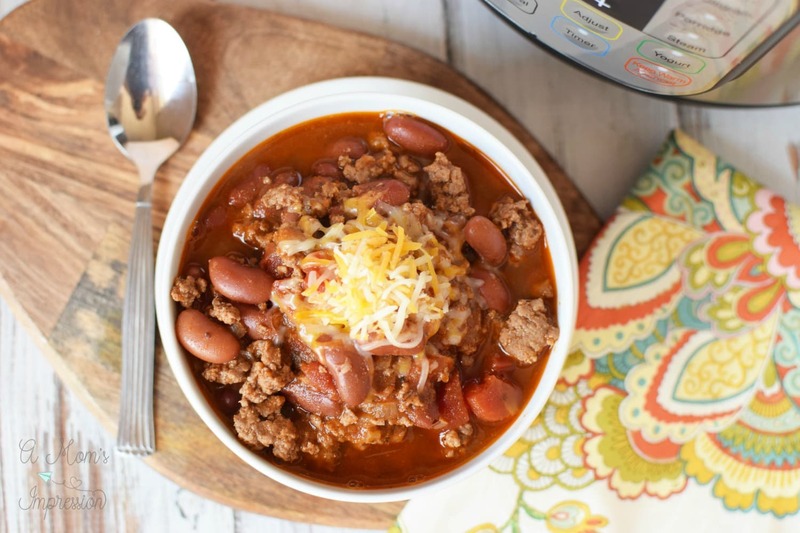 This Instant Pot Chili has that taste of having been cooked all day but it ready for your family in minutes thanks to the trusty pressure cooker. It is no secret that I love my Instant Pot. I love how easy it is to make dinner/lunch/breakfast in just one pot. There is only one pot to clean up which means I can spend more time doing other things like enjoying the big game, or playing with my kids. Soups and stews are perfect for Instant Pot recipes. They usually are dump and go recipes that make life as a busy parent so much easier. When you are carting kids all around town to their sports practices or club meetings, it is nice to have a quick meal you can get on the table. 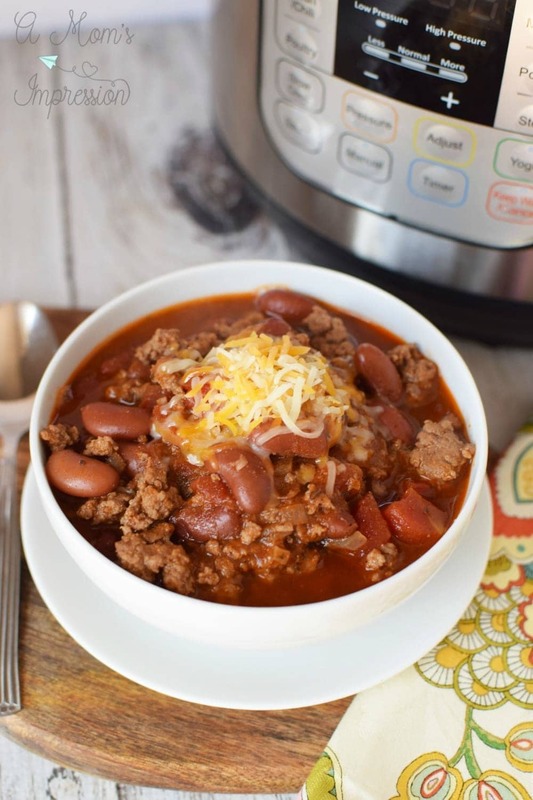 In addition to our Instant Pot Chili, we love our Olive Garden copycat Pasta Fagioli, our Instant Pot Potato Soup and our Instant Pot Crack Chicken Noodle Soup. These are both requested regularly by my kids! I almost always have canned beans in the pantry. They usually go on sale this time of year so I stock up for a few months. 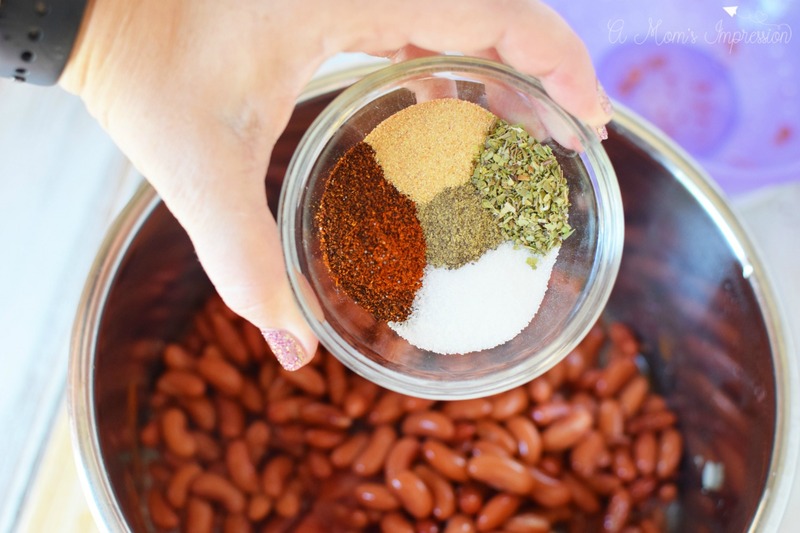 We enjoy different types of chili all fall and winter long so I get an assortment of canned beans, white beans go well with white chicken chili, and kidney beans go well with this Blue Ribbon Instant Pot Chili recipe. As I mentioned before, it is nice to be able to dump and go with this recipe. 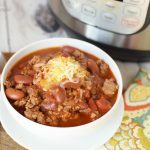 Scroll down for a printable Instant Pot Chili Recipe! Add beef, onion, and oil to the instant pot and set to saute. Heat meat, uncovered until browned. Set the pot to manual, high pressure for 5 minutes. When cooking is complete, quick release steam and open the pot. Stir before serving topped with shredded cheddar cheese (optional). Add beef, onion and oil to the instant pot and set to saute. *Note: Cooking time doesn't include time it takes for pressure cooker to come to pressure.